Any other mom gamers out there? So I like computer games for at the end of the day when I'm just ready to relax and like right now, not really many shows on that I want to watch so I play computer games to relax. I bought this one, hmm right before Christmas I believe (on sale) on Steam. It's a really cool game...you walk around (sorta like Sims) but, you don't do "everyday chores" etc. instead you run businesses and you can choose one of 4 professions to start in: Patron (farms, Inn, bakery etc), Crafts person (mine, tailor, bricklayer, carpenter) Scholar (Church, hospital and such) or a Rogue (Mercenary castle, Pub (yes thieves and so forth) and I just recently found out and was VERY excited lol to find this out that when you marry (you are trying to keep your Dynasty going. )So when you marry, say your a scholar and you marry a Rogue, you can build both types of businesses. I didn't know that until just a couple weeks after I had been playing and got addicted to it! LOL! I feel as I get older that time just seems to fly by. I'm going to be 43 mid March and for me, I can't believe that I'm already 40 anyway! For my 40th birthday one of my besties and I went to Graceland. We had an awesome week long adventure in Tennessee in Nashville and Memphis. 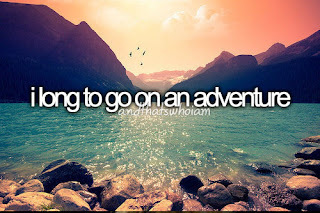 It was awesome and I had the time of my life with not a care in the world! Two Rivers Coffee Giveaway (2 Winners!) Ends 1/22 #TwoRiversCoffeeDeliciously Savvy Is Hosting a New Giveaway for 2 Lucky Winners To Receive The Two Rivers Coffee Premium Coffee Only Single Serve Gift Box (21 Count) with an ARV of $20 Each. Total Prizes $40 ARV. This is a Delicious Giveaway So Enter Today & Good Luck! Sponsored By: Two Rivers CoffeeHosted By: Deliciously Savvy Co-Hosted By:Amy & Aron's Real Life Reviews // Happily Ever Rushed // Heartbeats ~ Soul Stains // IMHO Views, Reviews and Giveaways // Babushka's Baile // My Silly Little Gang // Capri's Coupons // Box Roundup // Michigan Savings & MorePLUS a Big Shout Out To all Bloggers Helping to Promote! We appreciate all That You Do & For Sharing With You Readers! Thank You! For today on my Ultra Blog Challenge I'm going to talk about relaxing. What do you do for relaxation? For me its pretty simple usually....music! I'm not talented enough to play it but, I'm one of those people who is addicted to Spotify and making a playlist for EVERY thing under the sun! I do my moods, I do playlists for the month and anything else I can think of! I guess that's just one thing that I have grown just a tad bit attached too through out my life....gotta have my music! I love the older country songs like Loretta Lynn, Conway Twitty, Barbara Mandrell, Dolly, and I like others like Travis Tritt (he's flipping awesome in concert!!) and Randy Travis is awesome in concert too! And I had taken one of my besties for his birthday a couple years back to see Alan Jackson and let me tell ya he knows how to put on a show! OMG! And the best for last...Reba!! She rocks it!!! Welcome to the 1st Annual The New & Improved You Giveaway Hop hosted by Karen’s Got Mail! I have teamed up with a fantastic group of bloggers to share some awesome giveaways with my readers. After you enter the first giveaway be sure to hop around to all of the others for more chances to win! Enter for a chance to win the Sweetener Giveaway part of the New and Improved You Giveaway Hop! Ever since I can remember I've had the companion as a pet to love. I've always loved both cats and dogs. As I've grown up and started my own family we continued the tradition of having pets as a part of our family and I've always made sure that the kids understood that they are family. And each of my kids have that in-steeled in them that pets are family. 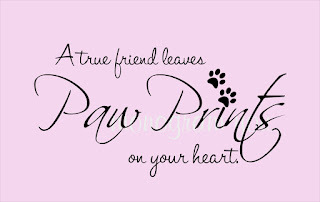 We've had a lot of pets in our lives and we've lost quite a few but, they will never be forgotten. They will forever be loved! Funny how it is that I can't remember sometimes a certain event that happens but, I can remember a pets name and what they looked like etc. Pets are angels on earth, that's what I believe. That's what I've always have thought, they are hear to be beside us when things get tough and we don't have a human to count on, I could count on my fur babies! 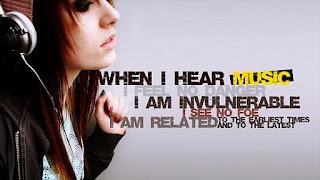 So today I just want to say that I believe the quote above. We each make our lives what we choose, we either choose to be happy and stronger and move on or we can let every little thing under the sun get to us and be miserable! 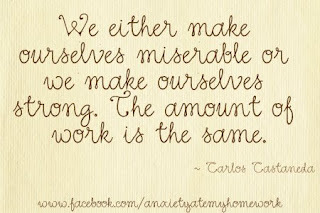 We only have one life to live so why would you choose to make it a miserable one? I know that some probably disagree with that and think that bad things happen to them or unfortunate things happen to them and how are you supposed to get through it not being miserable? Think and be positive! Keep looking forward on what your goal is don't let the bad things or the unfortunate things in your life dictate what the rest of your life is going to be. I wish all of my readers the best year with lots of great adventures ahead! Enter for a chance to win the Love My Dog Giveaway! 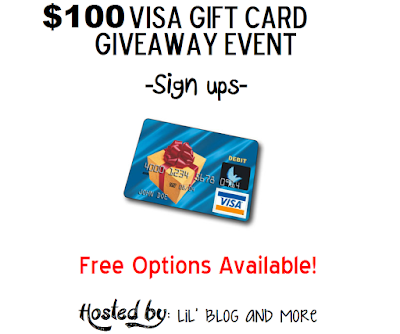 #BloggerOpps - $100 Visa Gift Card Giveaway Announcement! #BloggerOpp - The Original Peach Skin Sheets Giveaway Announcement! #BloggerOpp - Ringing in 2016 Colored Knife Set Giveaway Announcement! This song about says it all!! Basically if everything wouldn't of happened the way that it did I wouldn't know my own strength. Love this song and wanted to share it. So go ahead and listen to it and see what you think if you like. I appreciate everything in the past few years that has happened in my life. Yes, it was hard. Yes, it was stressful but in the end it made me become a "Fighter" that I didn't realize that I had in me! !